We are back in The Doghouse’s ‘cheeky basement bar’ with its secret outside space for naughty smokes and liaisons; there’s a little snug where Date Coach Ané Auret will be giving Club Members a pre-event pep talk. We’ll welcome you with a glass of chilled Prosecco and you can look forward to a selection of delicious canapés throughout the night, Italian sharing food is what Bernardi’s does best. Knowing that you all like to dress up, we have organized a photo booth so you can snap yourselves with friends. Those who came to our last party at Bernardi’s in February will know this sold out so be quick to join us at our sizzling summer party. Whats included: welcome cocktail and delicious canapés. Barbara is an entrepreneur with a background in fashion and events. 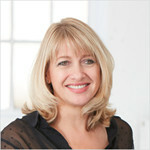 She is a partner in Vida8, the event side of London’s exclusive matchmakers Vida. Barbara’s innate sense of what it takes to fit people together with a flair for hosting exquisite events, makes her a social anchor for all that know her. A fine romance, my good fellow…..